Methodism began as small groups called “classes” within the Church of England by John Wesley in the 1700’s. Wesley was particularly known for his outdoor preaching and commitment to three general rules: 1. to do good, 2. to do no harm, and 3. to observe the ordinances of God. This movement influenced and formed several new denominations in the United States, including the United Brethren, the Evangelical Church, and the Methodist Church. All of these individual groups merged in 1968 to become the United Methodist Church as we know it today. 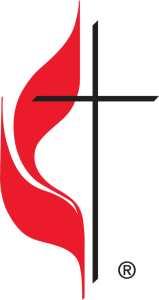 United Methodists say that we are a connectional church, meaning that we work together for the greater good. In many ways our church structure resembles that of the United States government. We have a representative body, called the General Conference which meets every four years. It is an international gathering and is the official voice of the church. This conference (and all others described below) are structures so that clergy and lay persons have equal representation. There is also a judicial system, though this council is not really for putting individuals on trial. Rather the Judicial Council resolves disputes in church law and interpretation of the actions of General Conference. Finally we have executive officers, which we call Bishops. These bishops assign pastors to the local churches (ie. make pastoral appointments), and hold the power to make pastoral changes as they deem necessary. Bishops are elected by Jurisdictions, or sections of the country comprised of many states. On a more local level, we have conference and district structures. The conferences are generally along state lines (ours is West Michigan), and are presided over by a bishop. These Annual Conferences also meet yearly for the organizing of ministry, and for the election of delegates to the jurisdictional and general conferences. Annual conferences are divided into small regional districts (our is the Kalamazoo District). These districts are overseen by a bishop’s representative called the District Superintendent (aka. D.S.). Each year the D.S. meets with all churches and clergy to see if a new pastoral appointment needs to be made for the good of the church. All members of the local church have voting rights at this Church Conference. Prevenient Grace — God’s grace is offered to us before we are able to respond. This is why we practice infant baptism: it is the offer of God’s grace while we are still helpless, but our life of faith is not complete. Assurance & Justification — as Christians we will have an experience where our heart is “strangely warmed” in which we come to know God’s grace and forgiveness. We claim the grace that God has offered us, and we publicly profess faith in Christ. This experiences helps us to know that our salvation is assured. Sanctification & Perfection — humans can and do get more Godly in their lives. It is even possible to become morally perfect in this life. Some say that this is a perfection in our ability to love God and neighbor, but it does not mean that we will never make mistakes. Quadrilateral of authority: Scripture, Tradition, Reason, Experience. These four are the basis for our thinking about God. We cannot use just one of these to inform us, but all must be considered. Each balances the other.